Great investment opportunity or first time home buyer. 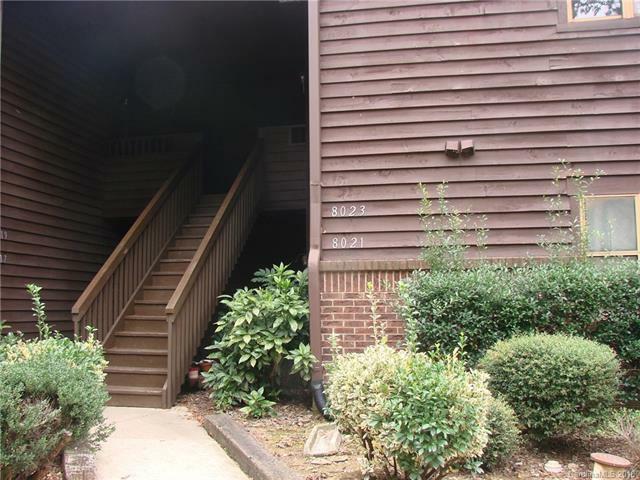 Desirable second level unit.Spacious open great room layout boasts soaring vaulted ceilings, neutral paint, and a masonry fireplace. Abundant natural light and breakfast bar provides additional seating, and a pass through window to kitchen. The sunlit dining room showcases raised ceilings. Popular split bedroom floor plan is great for guests or roommates. The master bedroom faces the front of the unit and is complete with a large walk in closet and private en suite bathroom. The second bedroom is located in the rear of the unit and also has a walk in closet and attached bathroom. Second bedroom and great room both have sliding door access to oversized screen porch. Easy access to Public Transportation. The community offers a large pond, sidewalks, clubhouse and pool. The HOA monthly fee includes use of the pool, water, sewage and trash and exterior maintenance. $2500 allowance towards closing costs or updates with acceptable offer.